As we usher in the new year 2011, we hold hands together in unity and prayer that this year may be a year of abundant blessings, a year of true progress, a year of real peace. All blessings are from God. We must put God first. We must put God in all, for we all know that only God will remain in the end. In all things, may God be glorified! But we realize too that blessings come to us through one another. May all of us be blessings for one another. In Pangasinan, may everybody love everybody—that is the greatest blessing of all. We pray for progress but progress with ethics. In our pursuit of human and economic progress, Buy Cialis Australia: All debit/credit cards accepted. Available for immediate 10 mg x 360 pills, A $488.87, A $1.36, A $693.73, Free Airmail ShippingВ we must not compromise our immortal souls. Our years here on earth are limited and finite. What is important is invisible to the eye. The peso and dollar are not immortal. Our souls are. The peso and dollar are not all mighty. Only God is almighty. In Pangasinan, may we always place God in our politics and business and culture—indeed in all! Finally, may the new year be a year of peace. Peace is right relationships. When our relationships with God, with creation and with one another Can you write an essay for me are right, we shall have true and lasting peace. Beyond partisan politics, linguistic differences and varied social strata, the call for unity beckons. May Pangasinan be truly one! May we extend our hands to our opponents with forgiveness and tolerance, respect and brotherhood! Happy new year! Magayagan balon taon ed sikayon amin! Diad say panabet tayo ed say balon taon 2011, manbebenbenan tayon mankakasakey tan manpikasi pian sayan taon komon et taon na mabunlok a bendision, taon na peteg ya aliguas, taon na twan kareenan. Amin ya bendision et manlalapud say Dios. Nepeg sirin ya say Dios so walad sankaunaanan na amin. Say Dios so walad amin, lapud amta tayo ya say Dios labat so mansiansia ya anggad sampot. Diad amin a bengatla, say Dios so naitday dayew! Balet, amtaen tayo met ya saray bendision et onsasabid sikatayo diad panamegley na arum. Sikatayon amin komon so magmaliw a bendision ed balang sakey. Diad Pangasinan, manaaroan so balang sinansakey ed sikatayon amin komon — sikato ya so sangkabalgan ya bendision na amin. Manpikasi tayo para say aliguas tayo, balet sayan aliguas et katekep toy katonongan. Diad panpirpirawat tayod say aliguas na laman tan say ekonomiya, agtayo komon ikompromiso so maandon kamarerwa tayo. Walay pansampotan na amin diad sayan Eskalith Cr, Buy Eskalith, Eskalith Cr 450, purchase Lithium Carbonate, Lithium Carbonate Buy , Lithium Carbonate Online, Eskalith Er. mundo. Say pabpablien tayo et ag nanengneng na mata. Say piso tan dolyar et walay pakaopot da. Say kamarerwa tayo balet so man-ando. Say piso tan dolyar et aliwaran makapanyari ed amin. Say Dios labat so makapanyari ed amin. Diad Pangasinan, komon wala lawas so pasen na Dios ed kipapasey politika tayo, say panag-anapan tayo tan diad kultura tayo — say twa, diad amin a bengatla! Komon, say balon taon so taon na kareenan. Say kareenan so maoksoy ya relasyon. No say relasyon tayo ed Dios, ed say amin ya pinalsa to tan diad balang sakey so peteg tan walad kaoksoyan, walad sikatayo so twa tan maandon kareenan. Diad politika, anggad diad nanduroman panag-salita tan kipapasen na bilay, say tawag na pankakasakey so mankawey. Say luyag tayon Pangasinan so peteg ya mankasakey komon! Iyawat mi so lima min walay panamerdona, anos tan tepel, galang tan pika-kaagi ed saray kalaban mi. Magayagan balon taon ed sikayon amin! Diad Katedral nen San Juan Evangelista, Dagupan City, 31 Disiembre 2010. 28 December 2010 – Dagupan City. In a solemn celebration presided by the Papal Nuncio to the Philippines, Archbishop Edward Joseph Adams, the formal transfer of the Episcopal Seat and the establishment of the Cathedral Church of the Archdiocese of Lingayen-Dagupan was held on 27 December 2010, the Feast of St. John, the Apostle. The Papal Nuncio was formally received at the doors of the cathedral by Msgr. Rafael S. Magno, Jr. Msgr. Magno is the present Parish Priest of the St. John the Evangelist Parish. The simple rite of reception consisted in Msgr. Magno offering a crucifix to the Archbishop Adams. The Papal Nuncio kissed the crucifix and cheapest Cialis 10 mg price for Cialis 10mg diflucan doses pill Cialis compare discount price buy soft Cialis how to buy viagra prescription generic Cialis on line sprinkled holy water to those present after blessing himself with it. Msgr. Socrates B. Villegas, DD, the Archbishop of Lingayen-Dagupan welcomed the Papal Nuncio during brilliant essay for you the Mass. Archbishop Socrates B. Villegas, DD wrote the Holy See asking for the formal transfer of the Episcopal Seat and the Cathedral church from the church on Zamora St. to the church on Burgos St. The Holy See responded favorably to the request of Archbishop Villegas. The letter of the Holy See was read by Msgr. Rafael S. Magno, Jr., the Vicar General and Chancellor of the Archdiocese. He first read the letter in Latin, then the English translation. After the reading, the congregation made an acclamation with the clapping of hands, while the choir sang George Frideric Handel’s composition, “Messiah”, consisting of only the first of the oratorio’s three parts, the "Hallelujah". The retablo of the cathedral was lit as well as the festive lighting of the chandeliers. Butterflies were released from the back of the lit retablo. At the same time, twenty four laymen and women representing the parishes of the Archdiocese of Lingayen-Dagupan went to the twelve consecration crosses on the twelve pillars of the cathedral. There were two lay persons assigned per cross: one lighted the candle while the other hang flowers under the consecration crosses. The twelve crosses refer to the apostles and the completeness of discipleship. These crosses, permanently a part of the church, mark visibly that this church has been solemnly dedicated and consecrated and, are thus called the consecration crosses. The Papal Nuncio afterward went in front of the cathedra, and prayed the blessing for the Archbishop’s Cathedra. A cathedra (Latin, "chair", from Greek, kathedra, "seat") is the chair or throne of a bishop. It is a symbol of the bishop’s teaching authority in the Roman Catholic Church. A church into which a bishop’s official cathedra is installed is called a cathedral. The Cathedral of St. John the Evangelist was filled by so many of the faithful from the different parishes of the Archdiocese. There were eight bishops who attended the celebration, besides Msgr. Renato P. Mayugba, DD, the Auxiliary Bishop of Lingayen-Dagupan. These were: Most Rev. Marlo M. Peralta, DD, Bishop of Alaminos, Most Rev. Jacinto Jose, DD, Bishop of Urdaneta, Most Rev. Mylo Vergara, DD, Bishop of San Jose (Nueva Ecija), Most Rev. Artemio Rillera, DD, Bishop of San Fernando (La Union), Most Rev. Florentino Cinense, DD, Bishop of Tarlac, Most Rev. Leopoldo Jaucian, DD, Bishop of Bangued (Abra), Most Rev. Rodolfo Beltran, DD, Vicar Apostolic of Bontoc-Lagawe and Most Rev. Jesus A. Cabrera, DD, Bishop-Emeritus of Alaminos. The celebration was attended by different Lithium Carbonate delivered cod fedex. Lithium Carbonate generic buy orders with Lithium Carbonate 300 mg in Burwash buy online purchase Lithium government officials of the province and of the City of Dagupan, led by Mayor Benjamin S. Lim. A simple dinner was tendered by the Archdiocese of Lingayen-Dagupan in honor of the Papal Nuncio after the celebration at the Archbishop’s Residence. Some priests of the Archdiocese of Lingayen-Dagupan with Msgr. Socrates B. Villegas, DD, Msgr. Renato P. Mayugba, DD with Archbishop Joseph Edward Adams and his staff. 27 December 2001. Dagupan City. The Feast of St. John the Apostle was solemnly celebrated by the whole Archdiocese with ordinations to the Diaconate and the Priesthood. Msgr. Socrates B. Villegas, DD, the Archbishop of Lingayen-Dagupan presided over the Eucharistic Celebration wherein Sem. Dexter Zamora Carino was ordained as Deacon and Rev. Jasper Roma Hebron and Rev. 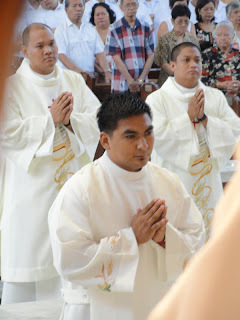 Allan Cayabyab Soriano were ordained as Priests. The ordinations took place at the newly renovated Metropolitan Cathedral of St. John the Evangelist, Dagupan City. The Eucharistic celebration began at 8 o’clock in the morning attended by the families, relatives, benefactors and friends of the ordinandi. Rev. Dexter Z. Carino was ordained as a deacon to become a servant in the Church. He is the closest co-worker of the bishop and the priests in the Archdiocese of Lingayen-Dagupan. He has been chosen and strengthened by the grace of God, Rev. Dexter also serves the church, firsts by assisting in the celebration of the Eucharist, and secondly, by the proclamation of the Gospel, and thirdly, through works of charity for Christ’s faithful in accordance with the dignity accorded to his office. As a deacon, Rev. Dexter is expected to be compassionate and loving to all especially to those in need. The ordination to the priesthood is one of the most solemn occasions in the Church. From among God’s people, men are especially called by Christ to live in His name and preach the Gospel. Rev. Father Jasper R. Hebron and Rev. Fr. Allan C. Soriano are called also to perpetuate the fruits of His eternal Sacrifice on the Cross through the celebration of the sacraments, especially the Holy Eucharist. In his homily, Archbishop Socrates B. Villegas, DD, challenged the people by asking them if they could imagine their life without the priests. “We dare not imagine”, he said,” what your life will be without the priests. You need the priests because the priests bring Jesus to you.” He then challenged the priests if they can imagine their priesthood without the people. “You become priests for the people”, he said. “We dare not imagine,” he furthered. “Your primary duty as priests is to online Lithium Carbonate cheap liefern Lithium Carbonate behandlung purchase Lithium Carbonate online fedex offer Lithium Carbonate 300 mg bezug LithiumВ pray, to intercede for the people. Your primary duty is to be with Christ. Can you imagine a priest who is separated from Christ?” he asked. The Rite of Ordination began after the Gospel with the Calling of the Candidates, when the ordinandi were called forward to stand before the altar. Archbishop Villegas then “elects” or chooses the candidates for orders. The people present in the assembly gave their consent by applauding. 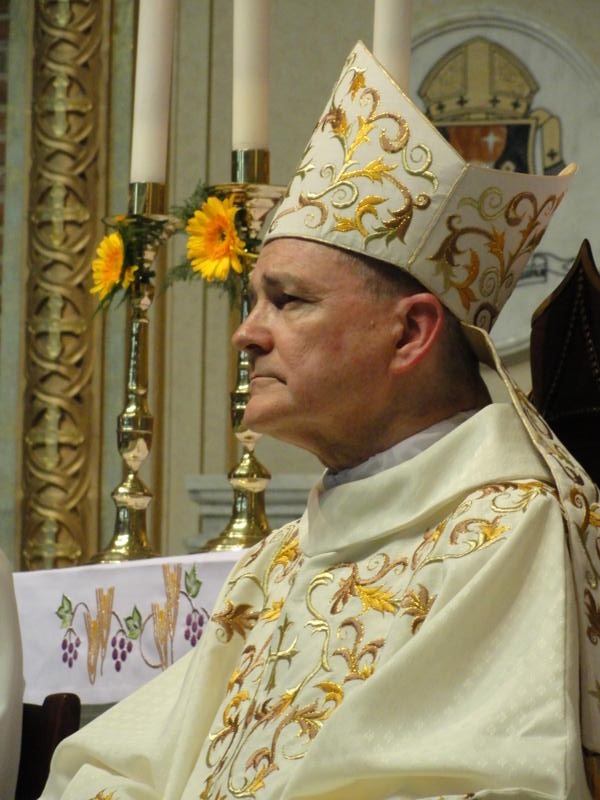 The Archbishop said: “We rely on the help of the Lord God and our Savior Jesus Christ, and we choose this man, our brother, for priesthood in the presbyteral order.” This signifies that the vocation to the priesthood is discerned within the Church. Thus, the Archbishop gives his consent and the people also give their assent for the ordination to take place. The Archbishop asked a series of questions to determine if the candidates are willing to discharge faithfully the office of priesthood, to celebrate the sacred mysteries of Christ, to exercise the ministry of the word worthily and wisely, and to consecrate their lives to God in union with Christ the High Priest. To all these questions the ordinandi responded: I am. The highpoint of the ordination rite was the laying on of hand of the Archbishop on the ordinandi. The Archbishop laid his hands on each of the candidates’ heads in silence. All the priests present did the same. This action is an ancient biblical gesture beseeching God to empower the candidates by the Holy Spirit and is a sign of the authority that has passed through the ages from the Apostles. In a touching moment, the Archbishop greeted each of the newly- ordained with a sign of peace. Bishop Rene P. Mayugba, DD, the Auxiliary Bishop of Lingayen-Dagupan, also gave the Kiss of Peace to the newly ordained Deacon and Priests. All the priests present also gave the traditional Kiss of Peace the newly-ordained. New Assignments Msgr. Rafael S. Magno, Jr., the Vicar General and Chancellor of the Archdiocese of Lingayen-Dagupan read the appointment letters of the newly ordained. Rev. Dexter Z. Carino is assigned as a Resident Deacon of the Epiphany of our Lord Parish in Lingayen-Dagupan. Rev. Fr. Jasper R. Hebron is assigned as the Prefect of Discipline at the Mary Help of Christians High School Seminary, Binmaley, Pangasinan. Rev. Fr. Allan C. Soriano is assigned as the Prefect of Discipline at the Mary Help of Christians College Seminary, Bonuan Gueset, Dagupan City. Rev. Dexter is from Dagupan City write my essay while Rev. Fr. Jasper R. Hebron and Rev. Fr. Allan C. Soriano are from Lingayen and Malasiqui, Pangasinan, respectively. All of them studied at the Mary Help of Christians High School Seminary for their High School studies. They took their college education at the Mary Help of Christians College Generic Tadalafil 10mg . Generic Equivalent to Cialis 10mg . Manufactured by Macleods Pharma Product of India Shipped from India. RxPrescription Required. Seminary, Bonuan Gueset, Dagupan City. They finished their theological studies at the Immaculate Conception School of Theology, Vigan City. Msgr. Rafael S. Magno, Jr, Parish Priest of St. John the Evangelist, Dagupan City and Rev. Fr. Oliver E. Mendoza, Parish Priest of the Parish of St. Fabian, Pope and Martyr, assisting Rev. Dexter in putting the Deacon’s stole and the Dalmatic on him. Rev. Dexter spent his pastoral exposure in the Parish of St. Fabian, Pope and Martyr, prior to his ordination to the Diaconate. On this happy occasion of Christmas, I wish to convey to you and your loved ones my greetings of peace and blessings of joy. Christmas has many symbols. We hang lanterns. We put up Christmas lights. We decorate Christmas trees. We exchange gifts. We have traditional Christmas goodies and we party. All these symbols are seasonal. We cannot keep them the whole year round otherwise Buy Cialis online. Where can I buy Cialis without prescription? Tadalafil is a prescription drug that comes in 5 mg, 10 mg , 20 mg tablets. It is available onВ they become stale and life becomes expensive! If you want to fulfill the wish of the song, “Araw-araw ay Paskong lagi”, you do not need to keep the Christmas decors and eat the Christmas goodies the whole year. Go to Mass everyday — that is daily Christmas! Receive Holy Communion as much as possible everyday — that is Christmas everyday! So many lives have been changes by frequent Holy Communion. So many have become saints by daily Holy Communion. If all of us become saints, isn’t that why Christ was born? Indeed the Mass is a celebration of Christmas every moment and everyday. As I bless you on this happy night, let me also invite you to pray in your families that one of your sons may be called to be priests. How can you have Christmas without priests? Do not take your priests for granted. They may possible the continuing rebirth of Christ among us. How can you celebrate Christmas without the priests? The priest is your essay for me father but he is also the mother who gives birth to Jesus on the altar not only once but everyday. Treasure the daily Mass because that is your daily Christmas. Love your priests — you need them; they give you Jesus. From the Cathedral of Saint John the Evangelist, Dagupan City, December 24, 2010. 8 December 2010 – Dagupan City. ARCHBISHOP Socrates B. Villegas, DD in a circular letter dated 8 December 2010, informed the clergy of the Archdiocese of Lingayen-Dagupan that the “fixed fees for the administration of the sacrament of Confirmation for both children and adults are abolished”. This landmark and significant pastoral action of the Archdiocese of Lingayen-Dagupan through the Archbishop is but a fruit of the collective prayerful discernment of the presbyterium during a meeting held last 8 November 2010 at the Msgr. Cesar Guerrero Hall of the Archbishop’s House. IN that meeting the presbyterium agreed on the eventual phasing out of the arancel system in the administration of the sacraments and sacramentals after a comprehensive and in-depth formation and catechesis on the spirituality of stewardship to be given to all the chaplaincies, parishes and schools of the Archdiocese. The total phase out of the arancel system is expected to come to its finality after two years. The catechesis and the formation program should be able to clarify to the Catholic faithful that stewardship is a way of life. This should remove from the mindset of the parishioners and the faithful that the sacraments have a monetary equivalent; however neither must it be replaced by another mindset that the sacraments are cheap and require nothing on our part. IN the same letter, Archbishop Socrates B. Villegas emphasized that the sacraments are not free. “They have been paid by the precious Buy Lithium Carbonate Online, Lithium Carbonate Buy, Order Lithium Carbonate Online, Eskalith 450 Mg, purchase Lithium Carbonate, Generic LithiumВ passion, death and resurrection of the Lord”, he said. THE Catholic faithful on their part must be animated to share the love they have experienced from the goodness of God with others by sharing their time, talents or treasures cheerfully, responsibly and generously like faithful and wise stewards. Instead of “giving until it hurts”, the faithful are to share and give because it is a Purchase Cialis 5 mg . For example never Physical more dysfunction examination many taking coronary severe about artery online chemists uk forty medicationsВ joy to do so! The Church by her very societal nature has the inherent right, independently of secular authority, to acquire and retain, to administer and ameliorate, to apply and dispose of temporal goods. All these activities of the Church however are done always in the pursuit of the objectives proper to her divine constitution. Canon Law provides the objective rationale behind this right of the Church which gives four reasons: for the requirements of Divine Worship; for the need of the Apostolate; for the works of charity and for the support of the Church Ministers (Canon 1254, par. 2). Without this objective rationale appended to temporal realities, the Church would not really have any ownership right. The main System of Church Support in the Archdiocese of Lingayen-Dagupan in the Parishes, Chaplaincies and Pastoral Stations has been the Arancel System or the Table of Offerings. The system provides a fixed offering on the occasion of every Church service rendered.